IMPROVED STABILITY & SUPPORT – Reduce knee injuries and add squat and deadlift stability with weightlifting knee wraps for squats and CrossFit WODs. 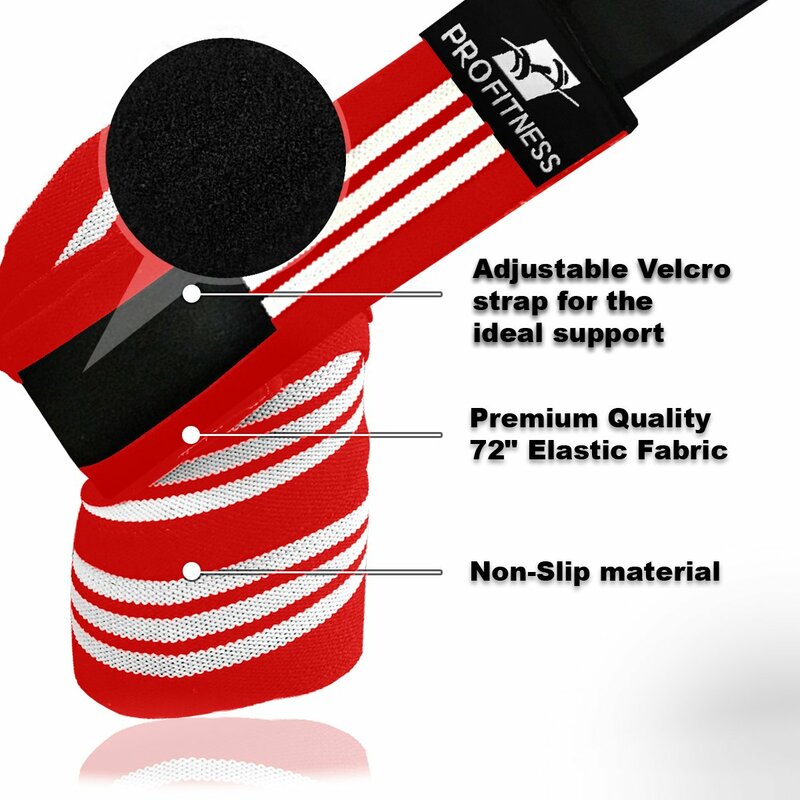 ADJUSTABLE COMFORT – A form-fitting knee brace for men and women, our powerlifting knee wraps are 72” long and adjust in size with Velcro straps. HELPS PREVENT INJURIES – When you’re squatting, power cleaning or doing lunges, you’re stressing your knees and joints. These sleeves add flexible support to help prevent overexertion or injuries. ENHANCED COMPRESSION – WODs and CrossFit training require precision control and stability; our slim knee sleeves offer flexible compression you can trust. MULTIPLE COLOR VARIATIONS – Backed by a 30-day satisfaction guarantee, our knee braces come in multiple colors and designs for an added personal touch.